The brush combination is suitable for cleaning the gaps, corners and skirting boards, living room and kitchen. The bristles are suitable for small gaps and remove dirt. The special design of the gap and blind angle is not very clean with ordinary tools! Also suitable for small bottles, jewelry, leather seats, monitors, razors, computers, keyboards, laptops, etc. 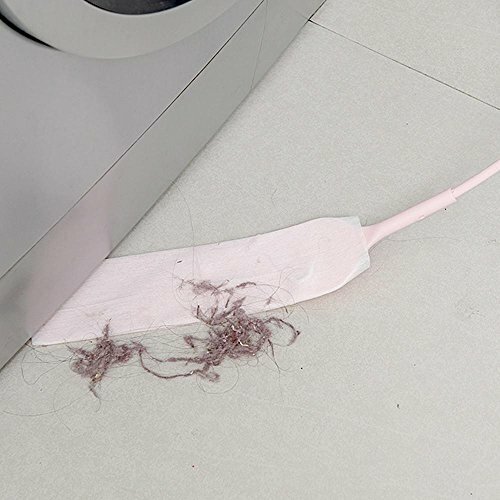 ELECTROSTATIC ADSORPTION --- Come with 10 pc Non-Woven microfiber cloths that can pick up dust more easier and quicker,cut down on your dusting time. BUCKLE DESIGN & HANGING --- The brush head is design with buckle,easy to assemble and disassemble,not easy to fall off.The tail has a hole that can hanging and save space.